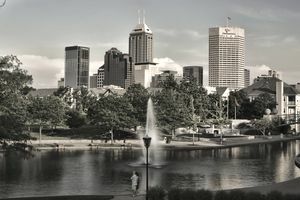 Indiana does not impose a separate estate tax due to changes in the federal estate tax laws that phased out the state pick up tax effective January 1, 2005. However, Indiana is currently among only seven states that assess a separate inheritance tax on certain property owned by an Indiana resident and real estate and tangible personal property located in Indiana that is owned by a non-resident. But in 2022 this will change due to a new law enacted in March 2012 which will result in the complete repeal of Indiana's inheritance tax effective for deaths occurring on or after January 1, 2022. In addition, this new law made retroactive changes to the exemption from the Indiana inheritance tax available to certain beneficiaries for deaths occurring on or after January 1, 2012. This article summarizes the Indiana inheritance tax laws that are in effect for deaths occurring on or after January 1, 2013. Refer to Overview of Indiana Inheritance Tax Laws - 2011 and Prior Years in order to learn about the laws that were in effect for deaths occurring on or before December 31, 2011, and Overview of Indiana Inheritance Tax Laws - 2012 in order to learn about the laws that were in effect for deaths occurring on or after January 1, 2012 and on or before December 31, 2012. You should also be aware that beginning in 2013, the new law provides that the Indiana inheritance tax will be reduced by 10% per year, which, as mentioned above, will effectively phase out the tax for deaths occurring on or after January 1, 2022. Estate Taxes vs. Inheritance Taxes - What's the Difference? Which Beneficiaries Are Subject to the Indiana Inheritance Tax? Surviving spouses and charities are entirely exempt from the inheritance tax. This is consistent with the laws of the other six states that collect an inheritance, as all six also exempt property passing to a surviving spouse. Class A beneficiaries include parents, children, stepchildren, grandparents, grandchildren, other lineal ancestors, lineal descendants, and spouses of children or stepchildren. Each type of Class A beneficiary is entitled to receive an exemption of $250,000. Note: Of the other six states that collect an inheritance tax, four states completely exempt children and grandchildren from the tax. Class B beneficiaries include brothers, sisters, and lineal descendants of brothers or sisters (meaning nieces and nephews and their descendants). Each type of Class B beneficiary is only entitled to receive an exemption of $500. Class C beneficiaries include anyone not listed above, such as aunts, uncles, cousins, nieces and nephews by marriage, friends and corporations. Each type of Class C beneficiary is only entitled to receive an exemption of $100. Is Life Insurance Included in an Indiana Estate? Life insurance that is payable to the decedent's estate is included in the value of the estate, while life insurance that is payable to a living beneficiary is not. What Expenses Can Be Deducted From the Value of an Indiana Estate? What is the Indiana Inheritance Tax Rate? However, as mentioned above, Indiana's inheritance tax will be phased out by 2022 by applying for a 10% credit per year beginning in 2013. For a chart showing the inheritance tax rate brackets, refer to page 3 of the General Instructions for the Indiana Inheritance Tax Return (Form IH-6), and refer to page 7 of the instructions for a chart showing the inheritance tax phase-out credit by year - see more on this form below. What Indiana Inheritance Tax Forms Must Be Filed and When Are They Due? For Indiana residents, an Indiana Inheritance Tax Form, Form IH-6, must be filed within nine months of the decedent's date of death and the inheritance tax must be paid within twelve months of the date of death, otherwise, interest will begin to accrue from the date of death. If the inheritance tax is paid within nine months, then a 5% discount is applied. For non-residents who own real estate and/or tangible personal property located in Indiana, an Indiana Inheritance Tax Form for a Non-Resident Decedent, Form IH-12, must be filed within nine months of the decedent's date of death and the inheritance tax must be paid within twelve months of the date of death, otherwise interest will begin to accrue from the date of death. If the inheritance tax is paid within nine months, then a 5% discount is applied. Where Should Indiana Inheritance Tax Forms Be Filed? The Inheritance Tax Return for a resident (Form IH-6) must be filed with the probate court of the Indiana county in which the decedent resided at the time of death or with the probate court in which the decedent’s probate estate is being administered. The Inheritance Tax Return for a non-resident (Form IH-12) must be filed with the probate court in which the decedent’s probate estate is being administered. If there is not a probate estate being administered, then the return should be filed in the county where the deceased non-resident owned real estate or tangible personal property. Where Are Indiana Inheritance Tax Payments Made? Inheritance tax payments for an Indiana resident's estate are paid to the county treasurer of the decedent’s county of residence. Inheritance tax payments for a non-resident's estate are paid directly to the Inheritance Tax Section of the Indiana Department of State Revenue, 100 N. Senate Avenue, Room N248, Indianapolis, Indiana 46204-2253. Checks should be made payable to the Indiana Department of State Revenue. Where Can You Find Additional Information About Indiana Inheritance Taxes? For more information about Indiana inheritance taxes, refer to the Indiana Department of Revenue website.